Kenny Salame is a mortgage originator for over 20 years. Licensed in Nevada, Arizona, California, and Michigan. 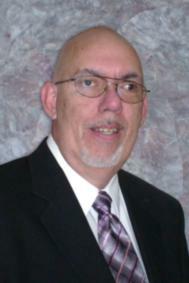 He specializes in all FHA products, HECM Loans, VA, VA IRRRL, and Conventional loans. Kenn Salame is a Licensed Loan Officer in Nevada, Arizona, California and Michigan. I work for All Western Mortgage and have over 20 year in the Mortgage Industry. Origimally from Michigan and moved to Nevada in 2003. I have been married for 16 years and have 2 sons and 1 daughter. Las Vegas, Henderson, North Las Vegas,Laughlin, Summerlin, Overton, Clark County, Pahrump, Nevada are the main cities that I serve. Servicing communties include Green Valley, Mountains Edge, Southern Highland, Nellis AFB, Aliante, Canyon Gate, Providence, Seven Hills, Park Highlands, Siverstone Ranch, Silverado Ranch, Anthem, Rhodes Ranch, The Lakes, Peccole Ranch, Desert Shores, Los Prados, Lynnbrook, and Inspirada. I'm centrally located at 8345 W. Sunset Rd, Suite 380, Las Vegas, Nevada 89113. I have extensive knowledge in all loan programs and I have the experience in processing the transactions for the different properties in these cities. Please use our extensive loan Mortgage Loan Calculators to determine your purchasing power and qualifying ratios, Buy VS Rent.